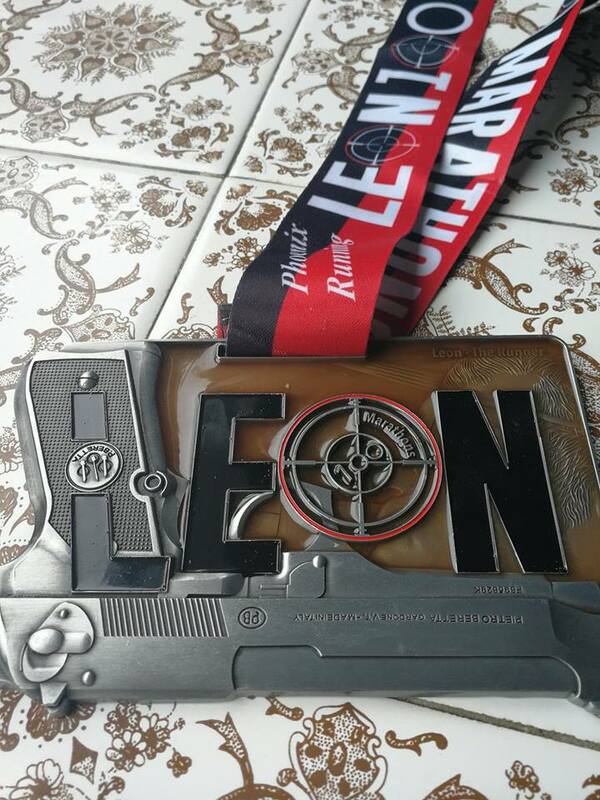 This event was a one off, as it celebrated the 100th marathon of Leon Hicks. 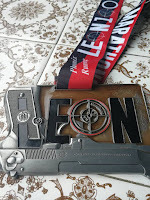 I have run a lot with Leon after meeting him a year ago immediately after I fell in Ranscombe. Its only in the last couple of months that I have recovered from that day. This was also a week after Belfast To Dublin so it was always going to be a recovery run. Did I mention I ran 107 miles last week. 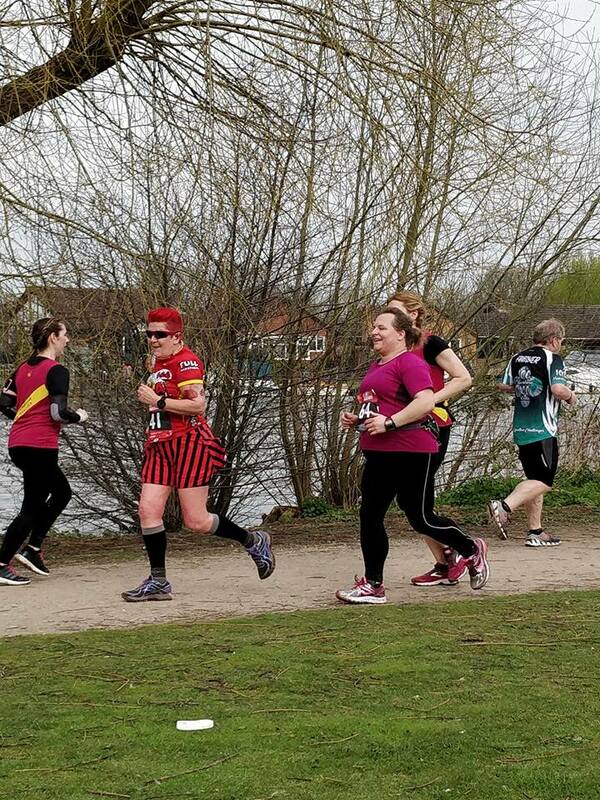 The event was at the "challenge course" known locally as the "Bridge course" at Walton upon Thames. I have done this many times. Today Brenda and Paul (over from Dublin) were there and I picked them up on the way. We arrived well in time and parked beside the new track and registered. There were around 140 today bolstered by many of Leon's running buddies from Yately and a big crowd down from Northamption (>40) on a coach with some 14 attempting marathon for the first time. The time was also extended to 7 hrs (which didn't really affect me). 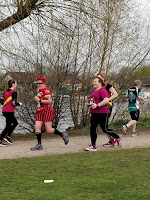 After a race brief and a "quiet" walk in respect to a runner Liam who had sadly passed away during the week despite toeing the line at his course some 4 weeks earlier. At 9:30 on the button we were off. For me it was a pretty uneventful race as I clocked off the 3.28 mile loops. I was surprised how easily I was moving and managed a 2:20 for the first half marathon which was pretty OK. 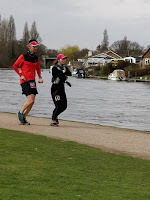 I spent a bit of time with Katie Thomas who had an early start down from Birmingham and was off to Manchester for Manchester marathon the next day which she duly completed. 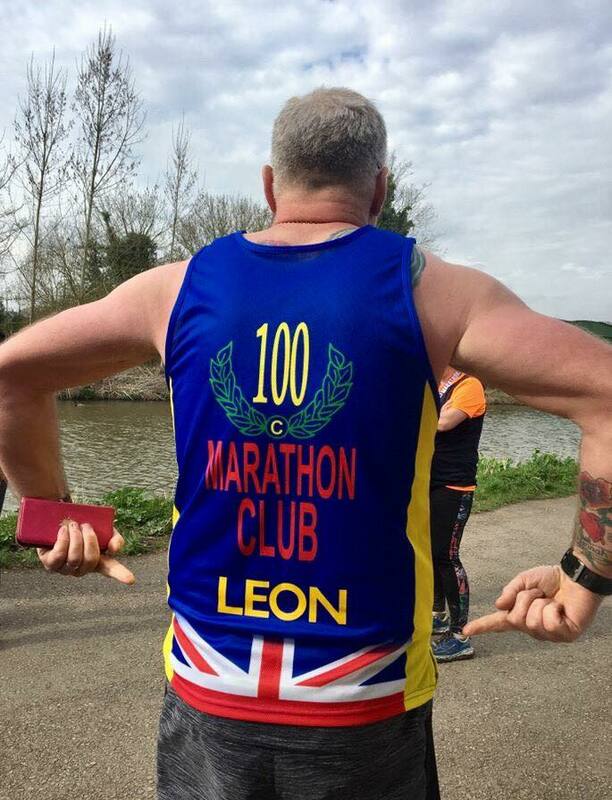 As well as Leon's landmark, Ollie also was doing his 100th in 100 weeks and David Brett amazingly was doing his 100th Ultra. I'll be in that club soon. 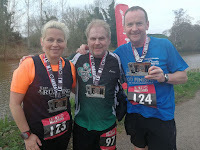 Also nice to see was Fiona and Paul who are in training for some ridiculous 145 mile race in May. Both ran great. I slowed a fair bit in the second half as it got quite muggy and my legs were pretty tired. This was the first run out in short sleeves all year. 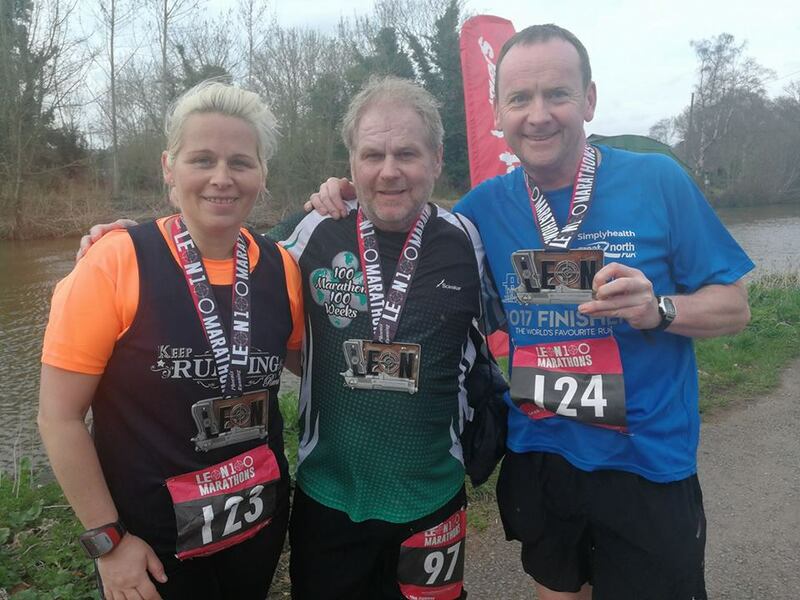 Brenda and Paul were going good with Paul looking to finish his 5th marathon and I gradually was getting closer and closer to them every lap. I came through marathon in approx 5:25 and went out on my ultra lap. 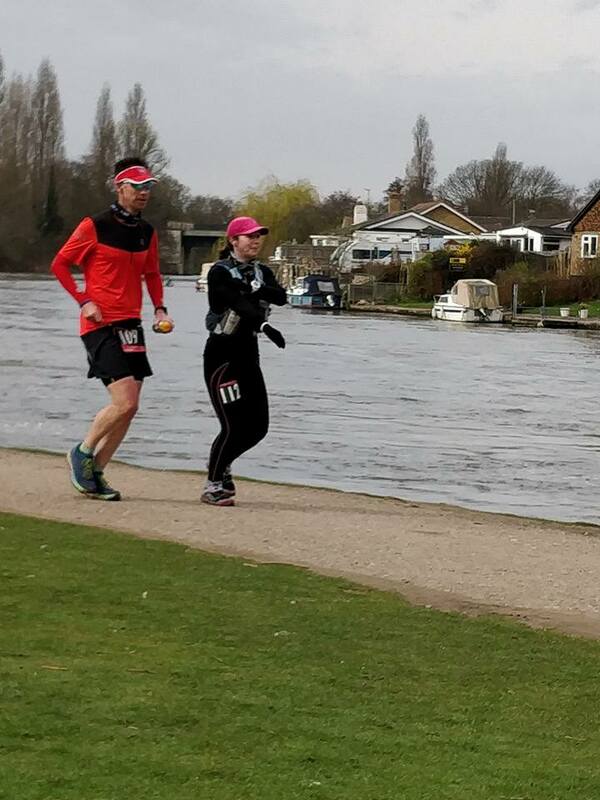 I eventually caught Brenda and Paul just as they were finishing their marathon and we all crossed the line (with Katie and Davo) at the same time. A lovely bit of bling and I love the fact that this race is only 40 mins away from Basingstoke.